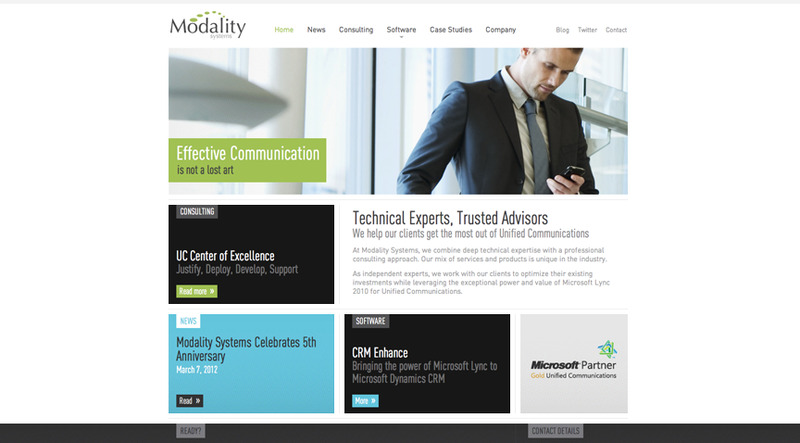 Ignition created Modality’s first website in 2007. 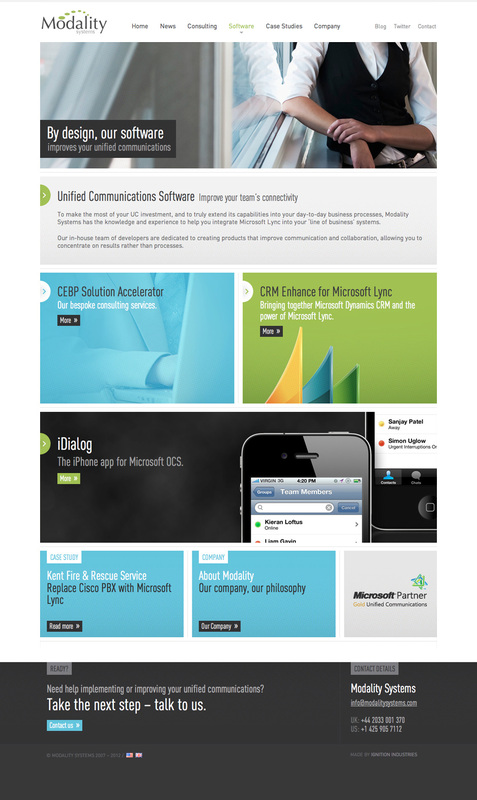 Modality was just getting started in the unified communications industry in the UK & United States. 5 years later, we created a platform where Modality can distribute their own software, manage their services, case studies, bios, content and more. Modality needed a website where they could manage content, securely upload and distribute software through online registrations, as well as showcase their highly talented team and nearly super-human technical abilities. The new platform is a sophisticated, new approach to managing online content. We gave Ignition high-level requirements and sat back with complete confidence. Ignition created a robust content management layer to allow Modality to edit everything. When we say "everything", we actually mean it. Our content management layer allows Modality to edit all of their content, insert images and videos, securely upload new software, and manage software email notifications to new users. Content connects people. Modality's team is split between the UK and the United States with an 8-hour time difference between them. 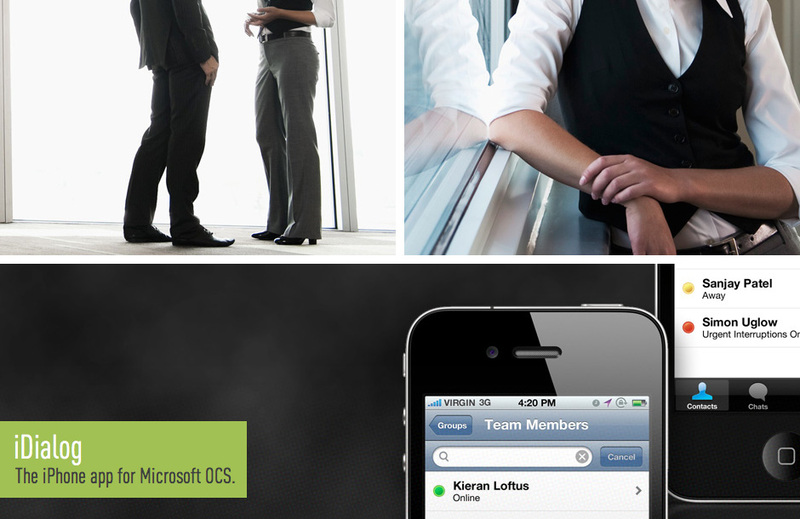 It is important that they have our platform tools available to them at all times so they can move at their own pace.